If you live near and around Grand Rapids and are searching for premier Jeep auto repair services, choose Ervine’s Auto Repair & Grand Rapids Hybrid. Our experienced and expert auto mechanics have been offering Jeep services for years so you can count on being back safe on the roads in no time. If you’re a responsible Jeep owner, it’s smart to stay on top of auto repairs. Owners of Ervine’s Auto Repair & Grand Rapids Hybrid, Jamie and Eric Carlson, truly care about their customers. Their team of auto mechanics and customer service advisors in Grand Rapids is committed to providing auto repair services the best way they can be done. In the industry, there are ways to cut corners and they don’t subscribe to this. If there’s an easy way out, it’s probably the wrong way to do it. You can trust that your Jeep is being maintained by a dedicated team of genuinely good people at Ervine’s Auto Repair & Grand Rapids Hybrid. “My son was on a trip to Grand Rapids and had major car issues. After getting it towed, Ervine's was ready and able to help! They found the parts for our old 1999 Dodge Stratus and got him on the road again so he did not have to spend the night! Great service and loved the on-line system keeping us abreast of the repair and costs! I highly recommend! !” -- Fraley C.
The team at Ervine’s Auto Repair & Grand Rapids Hybrid looks forward to providing your Jeep with first-rate auto repair services. Our expert auto mechanics are ready, willing, and able to provide first-rate services that will keep your car healthy and you safe on the roads. 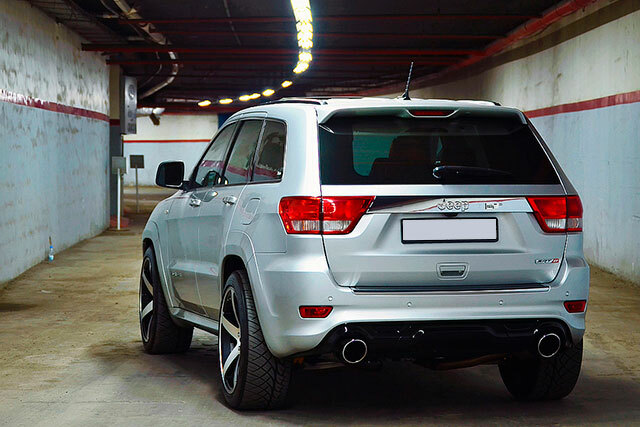 Your Jeep will be in the hands of some of the best in the region so expect top quality services across the board. Schedule an appointment today and you can find us at 4311 Stafford SW, Grand Rapids, Michigan 49548. We’re open Monday - Friday from 8:00 AM - 5:00 PM. See you soon!